300 North from Tornio, 270 km North from Rovaniemi and 37 km North from Muonio, River Muonionjoki 50 m, By the shore of backwater between rapids Kelokurkkio and Jalonpola, riverside in natural state, rocky bottom, own boat. Log cabin, built in 2010. Two convertible beds in combined living room-kitchen, 2 beds in bedroom, covered porch. 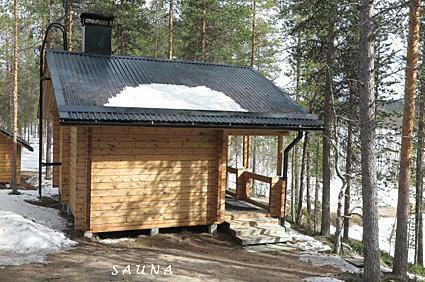 Separate sauna building 10 m, steam room (wood heated sauna stove and water tank), dressing room and porch. 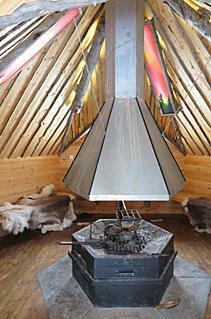 Sauna building is also electrified and there is electric light. Convertible bed, electric heater and wood stove in dressing room. 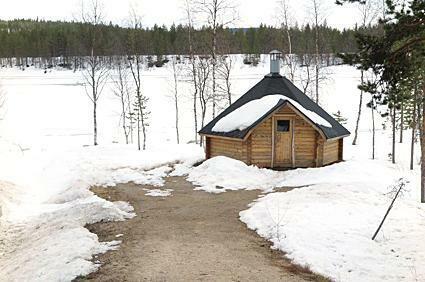 Water to the cottage and to the sauna from standpipe on sauna terrace (water comes from well and it is safe to drink). Buildings has no running water, there is a sink in the kitchen. Roomy barbecue hut By the riverside, electric "Northern lights" lighting in the hut. State owned lands hunting areas: 2602 Muonio and 1614 Hetta-Karesuvanto. Fishing license area 2502 Tornion-Muonionjoki-Könkämäeno. Hunting and fishing licenses from www.eraluvat.fi . In winter time there is an ice road to Saivonkylä village in Sweden, distance 4,5 km. In Saivonkylä village there is a 2 km illuminated skiing track and Snowmobile trail Victoria route which continues up to Kilpisjärvi. Services in Muonio centre 35 km. Ski resort Olos 41 km, Tourist Centre Pallas and Pallas-Yllästunturi National Park (Pallastunturi Visitor Centre) 63 km. Souvenir shops in Sonkamuotka and Sannan Putiikki 2 km (coffee and doughnut 0,50 €). Cabin is bookable during 1.9. - 20.6. 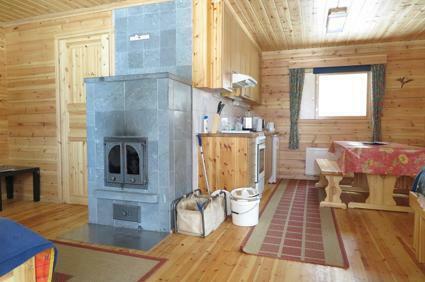 Please remember to clean the cottage well at the end of Your stay; in this cabin it is not possible to buy final cleaning from the owner.